Mediterranean cruises provide the quintessential experience with calls on major metropolitan cities and important historical sites as well as tiny villages and beach hideaways. It is ideal for first-time cruisers but you’ll also meet travellers who have simply fallen in love and return to the region year after year. You’ll find everything here from museums holding the works of Baroque and Renaissance masters, churches and mosques that have stood the test of time, markets and shopping plazas selling unique regional arts and crafts, and pristine beaches. 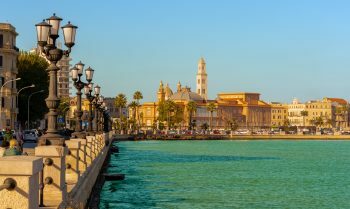 The Mediterranean spans many countries and several waterways so you’ll want to read on to learn more about your options for such cruises in Europe. If you are looking for cruises elsewhere in Europe however, view Northern Europe cruises. 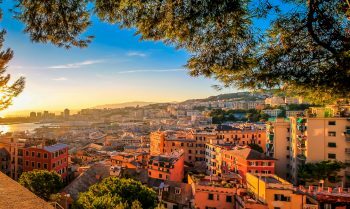 Read on for some comprehensive information to help plan your Mediterranean cruise, view our selection of handpicked Mediterranean cruise deals or explore cruises from Rome, cruises from Barcelona or cruises from Venice, the three most popular embarkation ports for Mediterranean cruises in Europe. 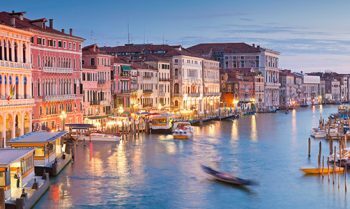 Alternatively, check out cruises from Athens, cruises from Marseille, cruises from Valletta and cruises from Lisbon, or for more Italian cruise departures, cruises from Bari, cruises from Savona, cruises from Naples or cruises from Genoa. Jump to information on eastern Mediterranean itineraries including Greece and Croatia, or western Mediterranean itineraries including the iconic Italy, France and Spain. People flock to the Mediterranean each summer ready for sunshine, delicious food and a cultural escape. June to August are most popular, but remember that it’s also very hot—especially in the Eastern Med. Remember too that Europeans often take a lot of time off in the summer, August in particular, and so some restaurants and shops will be closed in major cities and small towns during this time period. Spring and autumn offer cooler temperatures and fewer crowds as well as plenty of itineraries to choose from. 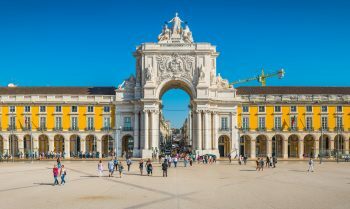 View summer 2019 Mediterranean escapes, summer 2020 Mediterranean getaways, spring 2020 Mediterranean getaways, autumn 2019 Mediterranean escapes or autumn 2020 Mediterranean getaways. If the Med is on your mind and the idea of summer just doesn’t suit, there are still numerous options for you. These days several cruise lines are extending their seasons in the Mediterranean while MSC cruises, Costa cruises, Norwegian Cruise Line and Royal Caribbean cruises all provide continuous cruising year round! A question with an easier answer is, “Who doesn’t sail the Mediterranean?” Nearly every major cruise line as well as smaller yacht companies and expedition vessels offer Mediterranean cruises. 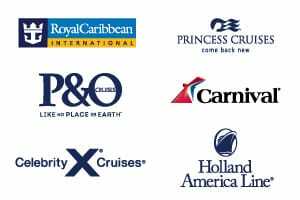 Beyond the plethora of year round cruise options available from Costa cruises, MSC cruises, Norwegian Cruise Line and Royal Caribbean cruises, you may also wish to review Celebrity cruises, Cunard cruises, Holland America, P&O cruises UK and Princess cruises. Looking for something luxurious? 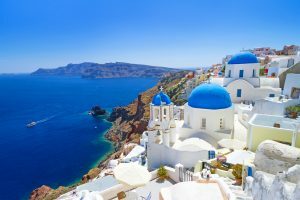 Make sure to look at Mediterranean cruises operated by Azamara cruises, Oceania cruises, Regent Seven Seas cruises, Seabourn cruises, and Silversea cruises. You can find everything from budget to luxury itineraries and intimate yachts to megaships sailing the Med. 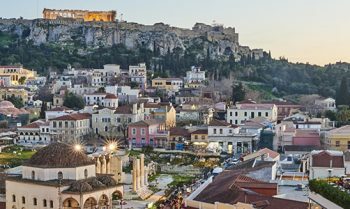 Eastern Mediterranean itineraries encompass the Greek islands, Turkey’s Istanbul and Kusadasi, the Black Sea (with additional Turkish ports), and the Adriatic coasts of Italy and Croatia. Sometimes Eastern Med voyages include ports in Israel and Cyprus and occasionally also Egypt when the political temperature is conducive. There are two main embarkation/debarkation ports of call: Piraeus (for Athens, Greece) and Venice, Italy. You’ll find one-week and longer voyages departing from these gateways from early spring through late fall. Cruise lines like Costa Cruises and MSC Cruises even offer winter itineraries because the weather is generally fairly temperate and crowds are nonexistent. 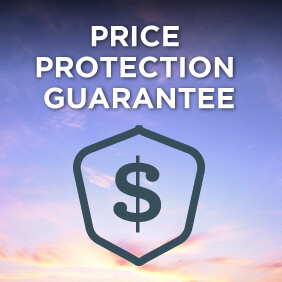 View all cruises from Athens or cruises from Venice. Alternatively, there are a number of options with MSC or Costa to the eastern Mediterranean when looking at cruises from Bari. The Greek Isles: If you ever visited the Greek islands and relied on local ferries, you know it’s complicated and can be fraught with misconnections and wasted time. Consider instead a voyage aboard a cruise ship that handles everything for you. Your voyage may start in Athens or Venice and is likely to call on the following ports: Mykonos, Santorini, and Corfu in Greece as well as Turkey’s Kusadasi for the ancient city of Ephesus. Longer voyages pack in a few more stops in Greece, like Naxos, Patmos, and Rhodes. View all cruises in Greece. 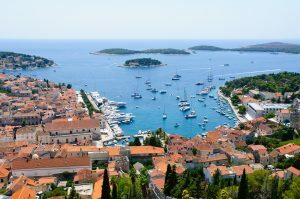 The Dalmatian Coast and Adriatic Sea: One of the most popular routes is the one that traces Croatia’s Dalmatian Coast for places like Dubrovnik and Hvar as well as Italy’s Adriatic ports such as Bari and Ravenna. You may even be treated to ports in Montenegro and Bosnia. 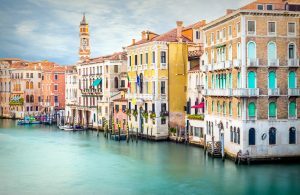 Cruises from Venice offer round trip cruises back to Venice, from Venice to Rome, from Venice to Barcelona or view all Adriatic cruises. The Black Sea: If you’ve cruised the major ports of Europe, put a Black Sea voyage on your “to do” list. You’ll begin and/or end in Athens and then sail the Black Sea for more unusual ports like Sochi, Russia (where the 2014 Winter Olympics were held), Bulgaria, and Romania. Dubrovnik, Croatia: Dubrovnik is known as the “Pearl of the Adriatic” and it’s a charming and incredibly walkable city that you will fall in love with. For history-lovers, there is nothing more inspiring than a stroll through the medieval-era Old Town within Dubrovnik’s incredible walled city. It’s home to centuries-old forts, cathedrals, monasteries, and terra-cotta-roofed residential homes. You’ll want to visit the Franciscan Monastery, which dates back to the 14th century; visit the Rector’s Palace that is now home to a collection of Baroque paintings; and take in the 18th-century Dubrovnik Cathedral. This is also a nice port for a beach day. Try Banje or Lapad. Istanbul, Turkey: The city of Istanbul is interestingly positioned as the gateway between Europe and Asia with the Bosporus running through the middle of the city. There is 2,000 years of history in this city formerly known as Constantinople. You will visit The Blue Mosque, Hagia Sophia museum, Topkapi Palace, and the city’s Grand Bazaar. It’s a fantastic place to stock up on gifts of spices for your family and friends. The sail-away from Istanbul is one of the most beautiful in all of the Mediterranean. When your friends hear that you’re going to the Med, they’ll probably assume that you’ve booked a Western Mediterranean itinerary. 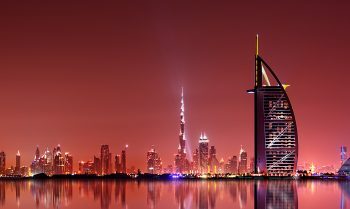 These are some of the most popular cruises in the world and they mainly call on the countries of Spain, Italy, and France as well as sometimes in Morocco, Tunis, Gibraltar, and the Canary Islands. 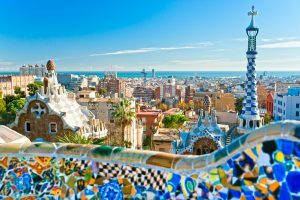 Cruise lines offer a variety of options when it comes to the Western Mediterranean: There are voyages that are less than seven nights, one-week trips, and those that are longer (anywhere from 10 days to 14 to 18 or more). 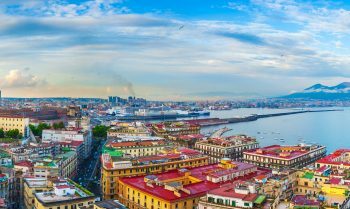 Cruises from Barcelona and cruises from Rome (from Civitavecchia port) are the most popular among Australians and these two ports are the major embarkation/disembarkation cities for most cruise lines. That said Costa and MSC also offer cruises from Genoa, cruises from Naples and cruises from Savona in Italy, while other western Mediterranean embarkation options include cruises from Marseille, France and cruises from Lisbon, Portugal. 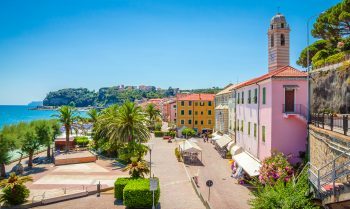 Ports of call can range from Toulon, St. Tropez, and Nice, France to Monaco, Monte Carlo to Italy’s Portofino, Livorno (for Florence), Elba, and Portoferraio. It’s also not uncommon for visits to Corsica and Sardinia to be included in a Western Mediterranean itinerary. Florence, Italy: When you visit Florence, you’ll do so by arriving at the port of Livorno that’s about 2 hours away by bus or car. Once you’re in the city, you’ll want to cover a lot of ground. The city is home to stunning Renaissance works of art that you can see at the Accademia and Uffizi Gallery. Visit Santa Maria del Fiore Cathedral, also known as El Duomo. It’s one of the world’s largest and impressive churches. After that leisurely walk across the Ponte Vecchio (Old Bridge), which is lined with shops selling jewellery, leather, and stationery. Rome, Italy: Rome is one of those places that you will not be able to fully explore in one visit. That’s OK. Just make a plan to see as much as you can. The cruise terminal is actually about an hour away in Civitavecchia so your days in Rome will be long due to transportation back and forth from the ship. First-time visitors will want to check out St. Peter’s Basilica and the Vatican Museums in Vatican City, the Colosseum (a stadium first used in 80 A.D.), the Pantheon (dating back to 27 B.C. ), the Trevi Fountain, and the Spanish Steps. 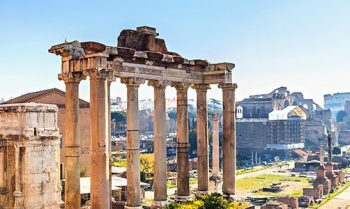 View all cruises from Rome. • The Mediterranean, especially the Greek islands and parts of Turkey, can get incredibly hot in mid-summer. Be sure to wear sunscreen and a hat, and drink plenty of water whenever you’re onshore. 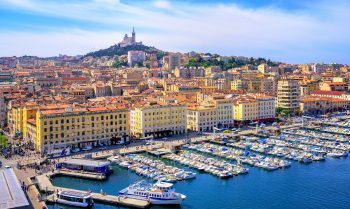 • Med voyages are jam packed with amazing ports of call. Realise that you are not going to be able to do it all. Read through the literature about all of the shore excursions and determine your “must visit” locations. Plan in some downtime, at the ship’s pool or at a beach onshore, to make sure you don’t burn out during the cruise. 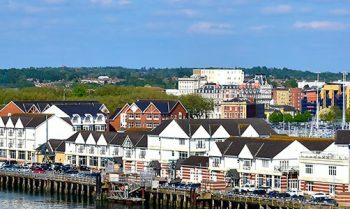 • Like most cruises in Europe, there is a lot of walking onshore if you want to see as much as possible in port. Bring walking shoes. Dress for comfort and not style for port days. You can always dress up for dinner to show off your inner fashionista. 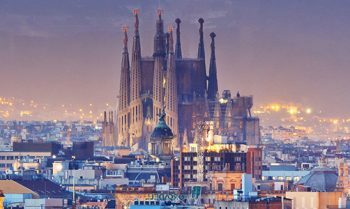 • The museums throughout the Mediterranean—especially in the cities of Barcelona and Rome—are world renown. For that reason, they are crowded nearly every day of the year. If you plan to explore the ports on your own, be sure to get tickets to any museum or cultural site well in advance of your voyage. • Pace yourself because some days will be very long. When you call on Livorno, it’s a two-hour drive to Florence. When you reach Civitavecchia, it’s an hour drive to Rome. You will likely experience a lot of travel to and fro, so be sure to get plenty of rest in the evenings and take short breaks throughout the day to keep your stamina up. A quick pit stop for an Italian gelato can do wonders for one’s energy level!